EA games Battlefield Companion app is now available for Android, iOS and Windows 10 Mobile. With Battlefield Companion app you can stay in touch with Battlefield 1 and Battlefield 4 on the go. 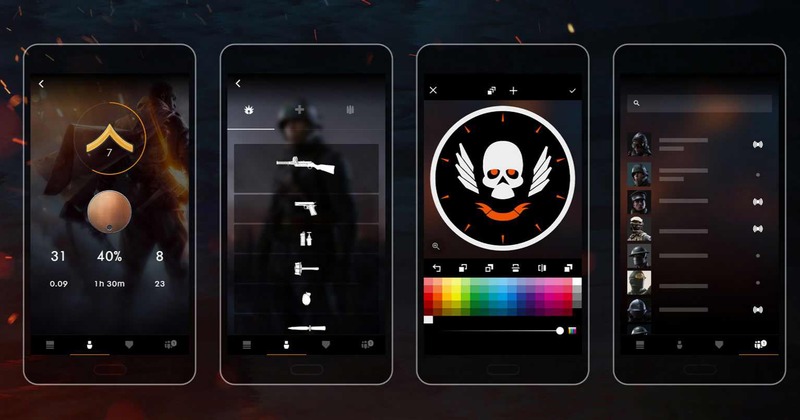 The app will enable you to track Battlefield progress, connect with friends, customize your loadout, and more. The app comes with improved navigation and support for Battlefield 1. CAREER: Your new profile and identity of Battlefield. Here you can explore your stats and achievements and see how your friends are doing. CUSTOMIZATION: Explore and customize your soldier’s loadout while on the go – with full support for Battlefield 1. EMBLEMS: The emblem editor and gallery makes designing awesome emblems for use in Battlefield a snap. Smart tools like the grid tool, zoom, and cropping makes the editing experience faster than ever. FRIEND LIST: The friend list makes keeping tabs on your Battlefield friends easy. Get a daily summary of when your friends are playing or follow that favorite friend to know exactly when he or she is playing.